The San Gabriel Mountains are not exactly known for incredible fall foliage displays but fall color can be found here if one looks hard enough. 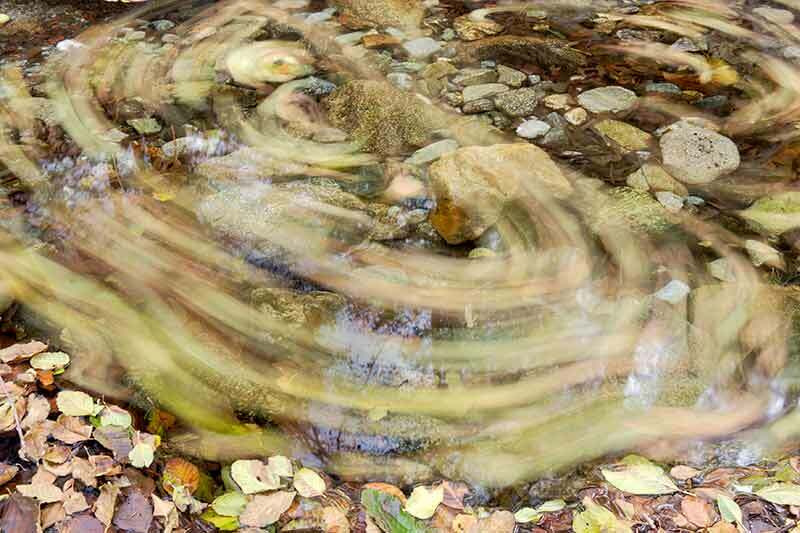 This slow-moving creek was in deep shadow which afforded me an opportunity to use a slow shutter speed which resulted in these blurred leaves. The contrast between movement and static leaves is what drew me to this composition.